We are in the final few weeks of Oregon’s 2017 Legislative Session! As this newsletter goes to press, we are anxiously awaiting the finalization and passage of SB 5516, which is the “Grant-in-Aid” budget for the Oregon Department of Education. This bill contains the budget for Early Intervention/Early Childhood Special Education (EI/ECSE) services, as well as the budgets for other early childhood programs. The Education SubCommittee of the Joint Committee on Ways and Means, which is the budget writing committee for education budgets, worked and passed out an $8.2 billion State School Fund budget (SB 5517) a few weeks ago in an effort to help school districts have some certainty as they were finalizing budgets for the coming school year. In the time that remains, Legislators are facing difficult decisions as they finish working agency budgets and funding a limited amount of policy bills with fiscal impact. Efforts to look at different solutions for generating more revenue for the state, such as through corporate tax reform and implementation of a “commercial activity tax” were unsuccessful this session, despite much effort and attention during the past few months. These efforts to fix the structural problems in our state budget are expected to resume again in the next “long” legislative session in 2019. We are hopeful that legislators will be able to fund EI/ECSE services at Current Service Level plus allocate some additional resources in order to provide children with an amount of services that is closer to “recommended service levels.” We are also hopeful legislators have figured out a way to avoid making cuts to other programs across the early childhood system. We will share more budget information as it becomes available. In the meantime, thank you to all for your advocacy in support of EI/ECSE Services. Your efforts to share your stories and educate legislators about the positive impact these programs have on the lives of families has made a huge difference this session, and we are extremely grateful. Huge thanks to all who participated in our Statewide Photo Rally during this legislative session. The photos and stories from across the state that were shared on our social media by families and providers brought great joy to many, and were an amazing tribute to the impact of these programs on the lives of children and families. Have an EI/ECSE story to tell? It’s not too late . . . share it on our Facebook page! EI/ECSE Programs: What Services Are Offered? One of the great things about Early Intervention and Early Childhood Special Education (EI/ECSE) services is that they are individualized based upon the needs of the child and the family. A child who experiences global developmental delays may require services in all areas, while others might only require services in just one or two areas, e.g., speech. Children from birth to age three who qualify for services receive Early Intervention (EI) services, which are generally provided in the family’s home or in a childcare setting. These services are designed to help families understand their child’s disability and how they can best support their child. Using a parent coaching model, specialists focus on teaching the family strategies to promote the child’s development and learning throughout the day. Depending on need, children can receive speech and language therapy, behavior and social skills training, specialized equipment and materials, occupational therapy, and physical therapy services. Children from age three to five who qualify for services receive Early Childhood Special Education (ECSE) services, which are designed to promote learning and early skill development in early childhood educational settings. These services provide support, consultation and training to the teachers, caregivers and parents who work with children who experience developmental delays and disabilities. In addition to consultation and training, services may also include preschool classes, speech and language therapy, behavior and social skills training, specialized equipment and materials, occupational therapy, and physical therapy services. Emphasis in ECSE services is given to serving children in inclusive settings where they are with their typically developing peers as much as possible. Specialists focus on the child’s lagging skills in order to increase the likelihood of success and readiness for kindergarten. 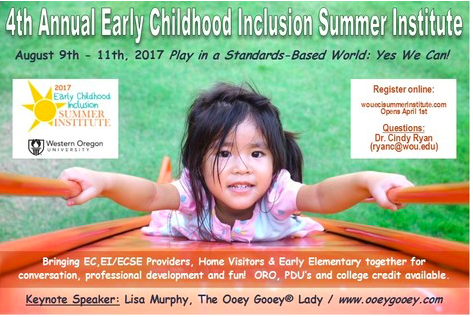 Depending on the child’s need, these services may be provided in family homes, in community preschools like Head Start, Oregon Pre-K and Preschool Promise, or in specialized preschools that are operated by ECSE programs. In 2009, legislators requested that the Oregon Department of Education (ODE) develop a model for what should be the “recommended level of service” that children should get in these programs depending on age and level of need. Unfortunately, the legislature has not been able to fully fund these programs at the recommended service level since that time. This creates challenges as these programs provide individualized services to all eligible children within set budgets that are already inadequate, and in addition they are also required to serve increasing numbers of newly eligible children that come into the programs within those same existing budgets. Only 28.3% of children in Early Intervention receive the recommended level of service. Only 2.1% of high needs children in ECSE receive the recommended level of service. Despite these funding challenges, the dedicated professionals and specialists who provide these life-changing services to children and families across the state do an incredible job helping Oregon children experiencing disability get ready for kindergarten and beyond. In our next newsletter, we will be focusing on the outcomes these programs achieve. What we know already, even without looking at the data, is that when we invest early and enable children to receive these services, they have an increased potential for lifelong success! February 23, 2017 Informational Hearing on “Early Intervention in Special Education” before the House Committee on Early Childhood and Family Supports and supporting presentation materials. SICC EI/ECSE 2015-16 Annual Report to the Governor. At its recent 9th Annual Make It Your Business Luncheon, the Children’s Institute shared two new slideshows that feature EI/ECSE Programs as among several important early childhood programs in Oregon that are helping young children learn, thrive and succeed. These slideshows do a great job of showing how early childhood programs work together as a system to support children and families. Take a few minutes to check them out! Oregon’s Early Learning Opportunity is a data-packed slideshow on what Oregon can do to help young children learn, thrive, and succeed. Ready by 3rd is a slideshow featuring kids and families benefiting from home visiting services, Early Intervention/Early Childhood Special Education, and preschool. A quick Google search on “summer fun ideas” will reveal an overwhelming number of resources, lists and articles available to help you plan fun summer activities with your kids. Many of these ideas and activities are designed to prevent the dreaded “summer slide,” which is when skills children learn during the school year are lost or forgotten over the summer. Setting a goal of doing one fun thing a day, whether it’s something simple like reading a story together or perhaps a bigger adventure like going to a museum, is a great way to ensure you have special time each day to really connect with your children. There have been some great blog posts written recently by parents who have children experiencing disability! 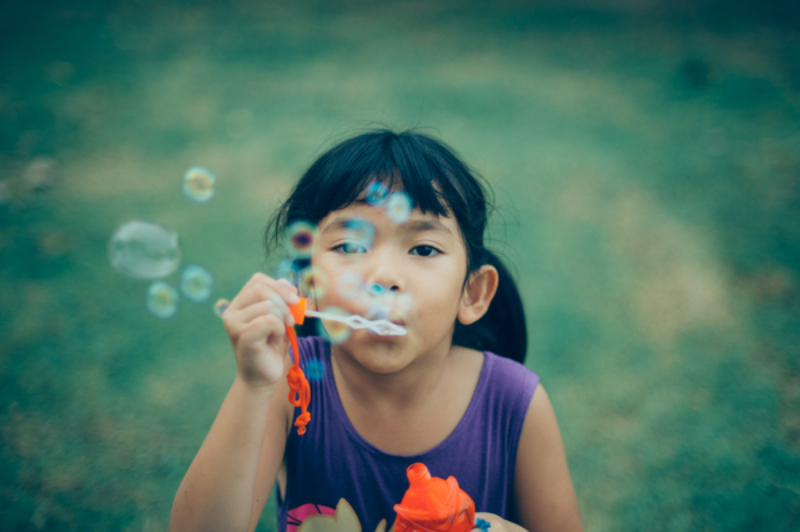 One very savvy mom whose daughter received EI/ECSE services and is now 11 shares a wealth of ideas and information in her blog post about how they plan a fun and stress-free summer. Another mom whose child was in ECSE services shares her six-year old son’s love of the great outdoors in her blog post and how slowing down the pace of their life and getting out in nature works well for their family. Catch bugs and look at them with a magnifying glass. Get outside and take a walk or play at a playground or park. Blow bubbles or play other outdoor games. Connect with other families and do something fun together. Read, read, read . . . your child’s old favorites or find some new favorites! Go to a story time at your local library. Make and play simple musical instruments. Teach your child how to make popsicles or a very simple snack (e.g., spreading peanut butter on crackers or apple slices) and then enjoy eating it together. Take a trip to your local farmer’s market. Make your own written story books—let your child dictate the story while you type, and then print the book and let them draw pictures to go with the story. Stay cool by getting wet—go swimming or set up a kiddie pool or sprinkler. Lay in the grass and watch the summer night sky. Also check out FACT Oregon's "Summer Resources" and the "Summer Ideas Shared by FACT Oregon Staff & Families". The New Governor's Report is Here! 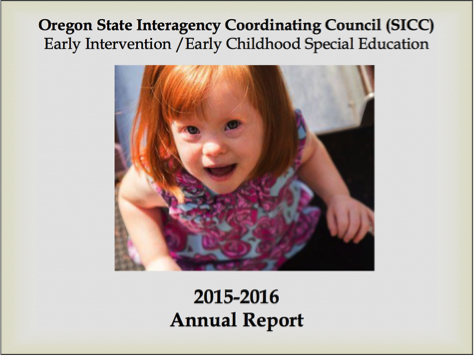 The State Interagency Coordinating Council (SICC) recently released its much anticipated 2015-16 Annual Report reviewing the State of Oregon’s EI/ECSE services to children with delays and disabilities from birth to school age! The SICC produces a report each year to share with the Governor its review of Oregon’s EI/ECSE programs and services, as well as its goals and recommendations for the future. The report provides a wealth of information about the programs for children from birth to age 5, the services provided to families and children, the outcome data for the programs, and the trends and challenges they face. Interested in learning more about the SICC? Check out its website! This year's conference theme, Play in a Standards Based World: Yes We Can! features leading experts in the field both at the state and international level. Find out more and register here!